Stockholm (AFP) – UN experts are expected to warn on Friday that global warming will hoist sea levels higher than was projected six years ago, threatening millions of lives. In a report touching on a high-stakes, contentious issue, the Intergovernmental Panel on Climate Change (IPCC) will predict sea levels to rise by between 26 and 81 centimetres (10.4 and 32.4 inches) by 2100, according to a draft seen by AFP. If these estimates are endorsed in the final document issued in Stockholm, they will outstrip projections made by the Nobel-winning group in 2007 of a 18-59 cm rise by 2100. The figures are based on the most optimistic and most pessimistic scenarios for reining in heat-trapping carbon emissions. Sea-level rise is, potentially, one of the big whammies of climate change. Rising seas stealthily gobble up valuable land and threaten oblivion for low-lying small island nations like the Maldives, where the ground level is just 1.5 metres (five feet) above the waves on average. They also expose cities to storm surges, as was catastrophically shown last year when parts of New York City and New Jersey were engulfed by Tropical Storm Sandy. Trying to predict ocean rise, however, has been at times like trying to pierce a fog. “[Climatology] is still a young science,” said French specialist Anny Cazenave, who was lead author of the sea-level section in the IPCC’s upcoming Fifth Assessment Report, and of its predecessor in 2007. But huge strides have recently been made. In oceanography, smarter computer models, insights into the sources of sea-level rise and greater understanding of ocean anomalies have helped unlock important knowledge. “Today, we have considerably reduced the margin of uncertainty,” Cazenave said in a telephone interview. In 2007, the IPCC’s Fourth Assessment Report blamed rising sea levels on thermal expansion — when water warms in a confined area, it rises — and meltwater from glaciers and snow. But the arithmetic didn’t add up. The rise was faster than these two factors could explain. What was suspected at the time, but could not be proved, was that the extra water was coming from the mighty icesheets of Greenland and Antarctica. Recent studies discovered a significant run-off from these sources as ice that spews into the sea from land glaciers meets warming water. 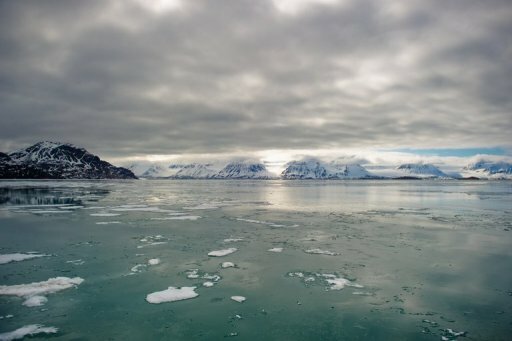 Over the past 20 years, the icesheets have accounted for about a third of the average rise in global mean sea level, which is 3.2 mm (0.13 inches) per year, the new data suggest. Caution, though, is needed in predictions for this century. “There is major uncertainty about the dynamic flow of the icesheets, particularly Antarctica, and their potential contribution to sea-level rise,” said Valerie Masson-Delmotte, a French glaciologist. One scientist told AFP it may be useful for governments to work on what some experts fear could be a rise as high as 150 cm (60 inches) by 2100. “There’s no point building a dike and realise after a half-century that it was too low and that you have to rebuild it,” said Anders Levermann of Germany’s Potsdam Institute for Climate Impact Research (PIK). “For civilization, the stakes are high,” a commentary warned in the US journal Science last year. “Without adaptation, a rise by 50 cm (20 inches) would displace 3.8 million people in the most fertile part of the Nile River delta. A study published in August warned the world’s 136 largest coastal cities could risk combined annual losses of as much as $1 trillion (735 billion euros) from floods by 2050. Sea levels do not rise at the same pace around the world, with some areas experiencing rates much higher than the global average. This may be because of local subsidence as groundwater is extracted for construction. Parts of China’s Yellow River delta, for instance, are sinking at up to 25 cm (10 inches) per year. Also, air pressure, currents and winds can push water over to one side of an ocean, causing a build-up relative to the other side. For this reason, the northeastern US is a “hot spot” for a far higher-than-average rise.